Halloween has become one of the largest, most influential holidays in America, and is gaining ground in other countries as well. It is a day filled with costuming, horror images, candy, and community openness. That combination seems strangely out of synch with sensibility at first glance, but those issues may not be as far apart as we might assume. If you come from the conservative to fundamentalist spectrum of Evangelical Christianity, you may have been raised with a fear of Halloween. You have heard stories of its supposed Pagan beginnings, and the dark sinister things occurring on Samhain (pronounced Sow-en). The Fundamentalist mind runs rampant with human and kitten sacrifices on October 31st. Churches hold Harvest Fairs, or 24-hour prayer vigils to combat the dark intentions of the Evil One on this night. Meanwhile, families are getting dressed up in costumes ranging from bloody zombies to Disney Princesses, and they are traveling the neighborhood knocking door-to-door like vacuum cleaner salesman looking for candy for their children. The neighbors open their doors, cheerily accept a “Trick-or-Treat!” shout, give out candy, and close the doors to declare how cute the kids look. To these neighbors, your concern about keeping your kitty indoor on Halloween, or avoiding a demonic intrusion into your child’s soul seems as distant as Pluto. 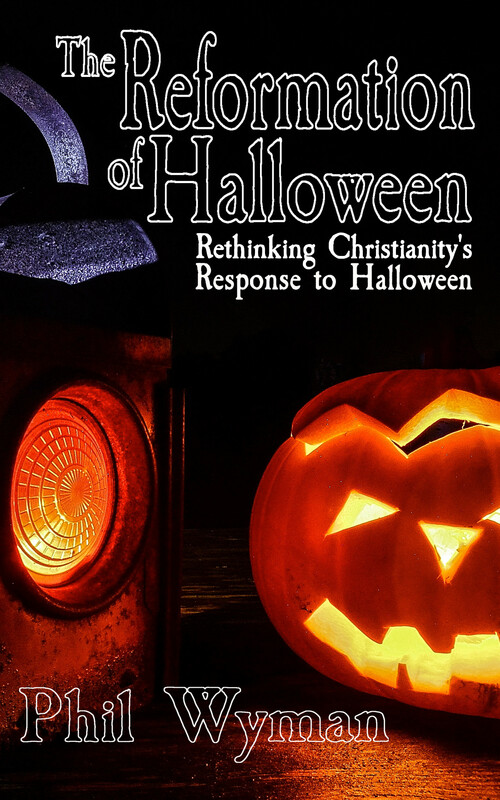 Now, I will be so bold as to declare, that I know a bit more about Halloween and its intersection with Christianity than just about anybody reading this blog post. You see, I am a Christian Pastor. 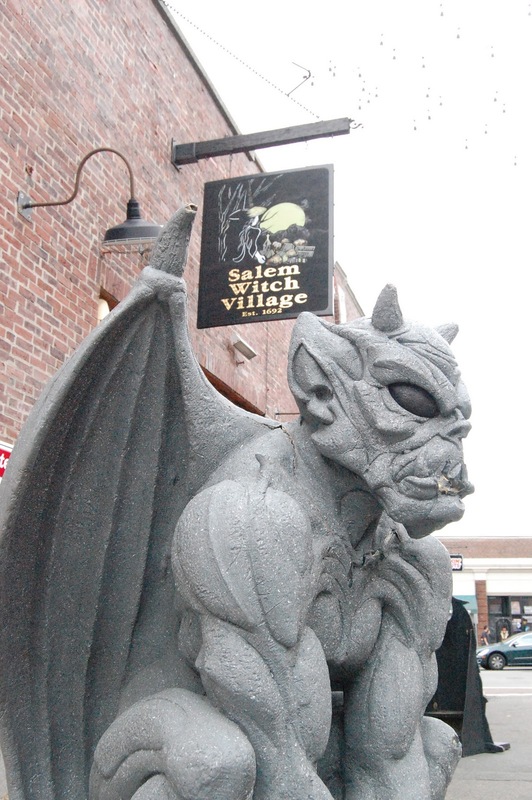 But not only that, I am a Christian Pastor who lives and pastors in Salem, Massachusetts, and in our little city, Halloween is a one-month-long experience. But, not only that, I have been running an outreach on the streets of Salem for nearly an entire month each year during our month-long Halloween season. And not only that, our city has real live practicing Witches, and I know many of them well. So, here goes my take on Halloween. I will not give you the supposed history of the event. You can find that elsewhere on the internet, and some of it is sensationalist (stay away from that stuff – it’s just dumb and wrong), and some of it is honest enough to say that we do not really know the origins or activities on this night back in early Pagan history. 1) Don’t get freaked out by the gory aspects of Halloween. Yes, some people go overboard, but then again so did Grimm’s Fairy Tales, and so did some of the descriptions of war, sickness, depravity and suicide in the Bible. There is a strong connection between death and apocalyptic scenarios in literature and film, and these connections carry spiritual meaning. From stories of zombies to vampires to monsters to antichrists we find interesting correlations to finding safety in God during apocalyptic crisis in literature and film, and social commentary is ripe in story lines like The Walking Dead. 2) Take advantage of the community openness. What other day of the year will people happily open their doors to a knock from a strangely dressed stranger saying funny things to them? In fact, they will be so happy to see you, they will give you a gift of candy. How often does that happen? You couldn’t get that to happen on Christmas Day while everyone is excitedly opening packages under the decorated piney tree. 3) Don’t get all caught up in the supposed dark intentions of the night. How many Witches do you actually know? My guess is that most people reading this will answer “none.” I know hundreds – literally hundreds. That is because I live in Salem Massachusetts, and have friends from the Neo-Pagan Witchcraft community from around the world. I have yet to encounter any dead kitty cats, or sacrificed babies. I have found very few examples of curses upon churches or individual Christians. I am not saying that there are not any examples of curses by Witches, but the Witches I know are generally kind people who want the world to be a better, more peaceful place. For this reason, I do not have to hide on Halloween to pray the darkness away. 4) Join someone doing something both fun and redemptive, if you can. Because I am in Salem, and 500,000 to a million people will visit our city in October, we will provide live music on the streets, give away free hot cocoa, free hugs, and will set up booths to offer a variety of spiritual counseling. This is our way of connecting to a searching world during a searching season. I believe that Halloween is the most open and community oriented holiday in our culture. It is filled with wild creativity, and offers Christianity the best moment in the year to shine with its own creativity, love and giving. Don’t let that moment pass you by, because you are afraid of some bogey man of urban myth in fundamentalist garb. I will have to admit , when I first started reading I thought you were going to say how bad Halloween is . I’m glad you didn’t because I for one enjoy Halloween. As a Christian I bought candy two weeks ago because I’m so excited for kids to come to my door. You offer a beautiful perspective towards Halloween. It’s amazing how a tradition can open the doors and hearts of a community .